Who needs a ticket to see The Nutcracker? This Rainbow Magic delight is just like a real Christmas ballet night out. Do you love ballet? So does Giselle. 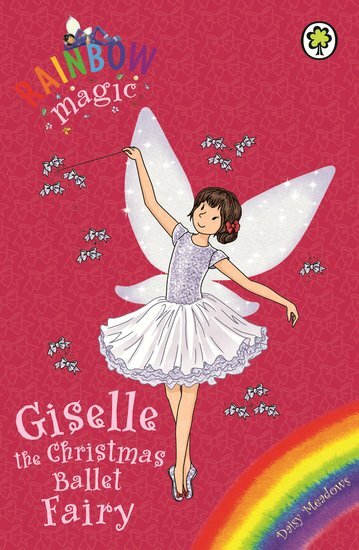 Every year, her magic helps the Christmas ballet show run perfectly. Sparkly fairies twirl, little elves leap charmingly and everybody goes home happy. But when naughty Jack Frost steals Giselle’s magical objects, it looks like it’s curtains for the show. Boo hiss! Can Rachel and Kirsty save the Fairyland Christmas performance?